The Christian Voice attacked British diver Tom Daley online for being gay. J.K. Rowling had to police the internet again. The “Harry Potter” author called out the United Kingdom-based Christian Voice for a homophobic tweet about British Olympic diver Tom Daley. The prayer and lobby group posted an anti-gay message after the 22-year-old, who is engaged to screenwriter Dustin Lance Black, failed to qualify for the 10-meter platform final at Rio 2016. The organization didn’t go into further detail to reveal what possible link there could be between Daley’s sexuality and his athletic performance. But Rowling, who has a laudable history of schooling bigots online (see examples 1, 2, 3, 4) immediately leapt to her fellow countryman’s defense. 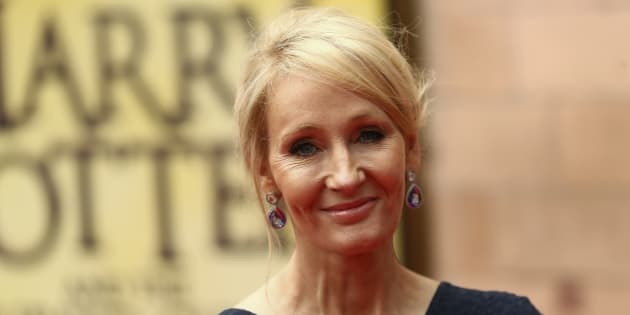 Her tweet is now going viral, with dozens of other Twitter users going after the organization ― and even calling for Rowling to unleash some dark magic on its members. @jk_rowling That tweet is a plausible excuse for an Avada Kedavra. @jk_rowling@UKCV Oh, yeah. I *turned* gay like Remus turned into a werewolf. 🙄 Definitely the stupidity. @jk_rowling@UKCV I'm a (moderately conservative) evangelical minister, and I'm horrified by that tweet. What were they thinking? A brief look through the Christian Voice’s Twitter timeline revealed similar contempt for gay marriage, Islam and gender identity. The Huffington Post has reached out to Christian Voice for comment.